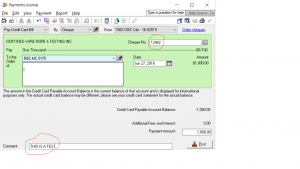 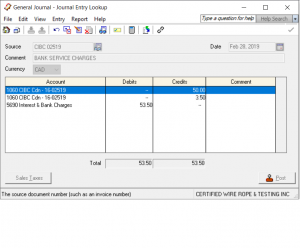 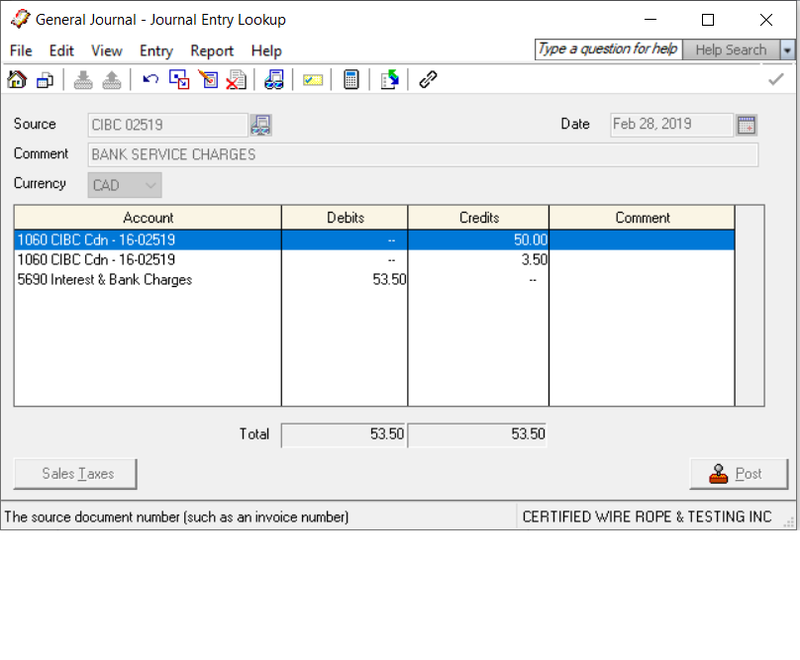 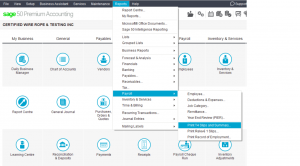 This tutorial is on how to adjust/delete an entry made via general journal. 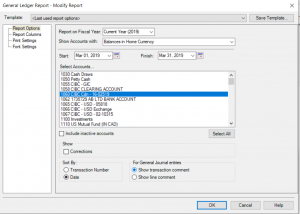 lets first view a report on bank account. 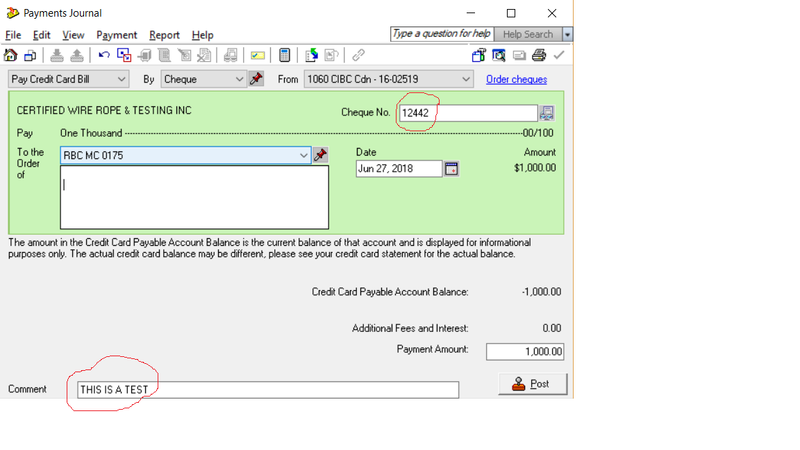 from here choose the date range that the entry was done in and highlight the bank account and press ok.
choose the entry that needs to be deleted by clicking on the source. 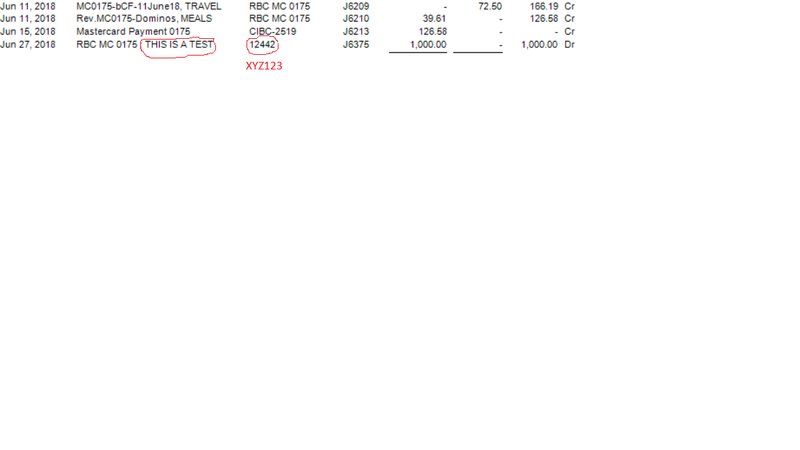 the original entry opens and you can click the red X and delete the entry. 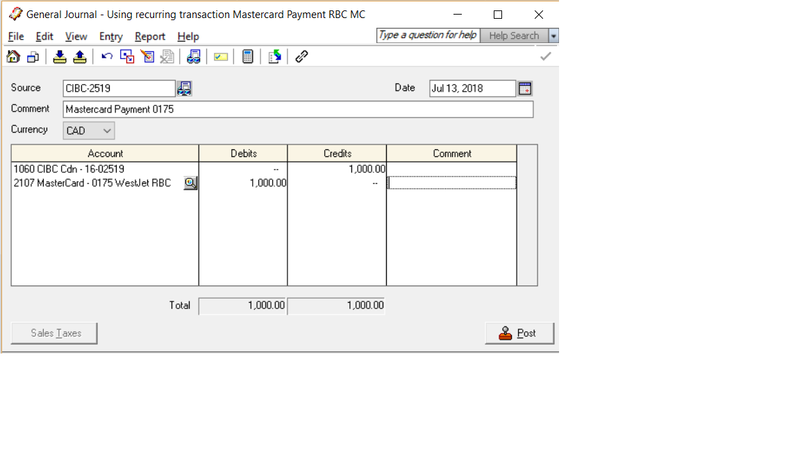 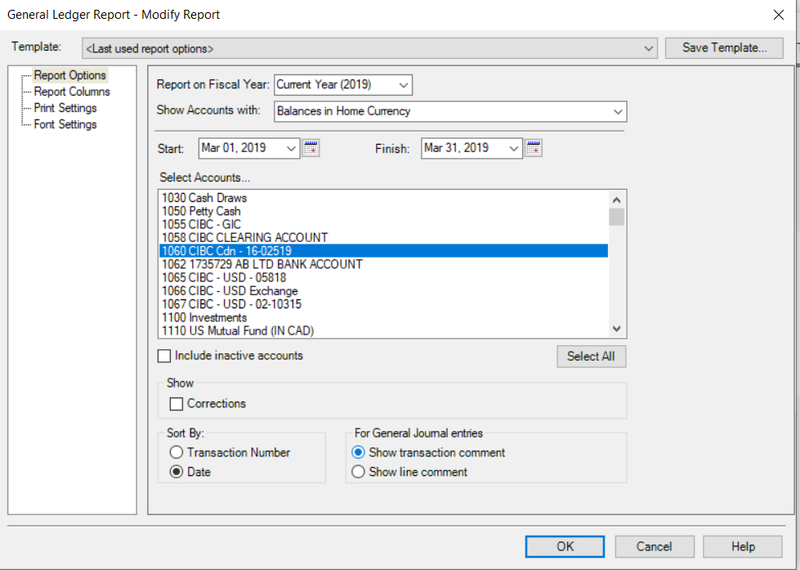 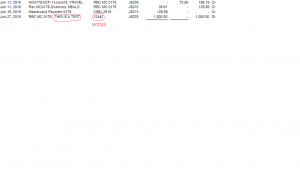 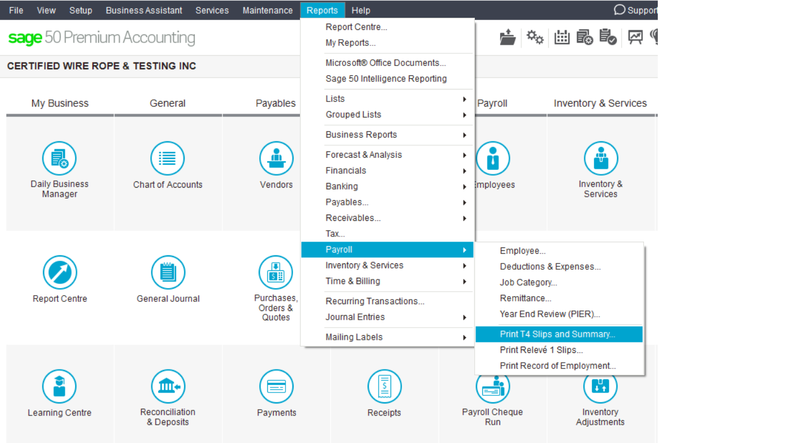 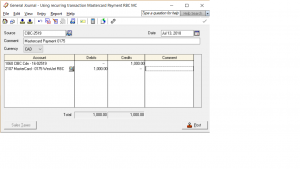 This entry will not show up on the bank reconciliation screen.